Is there a better alternative to Animationist? 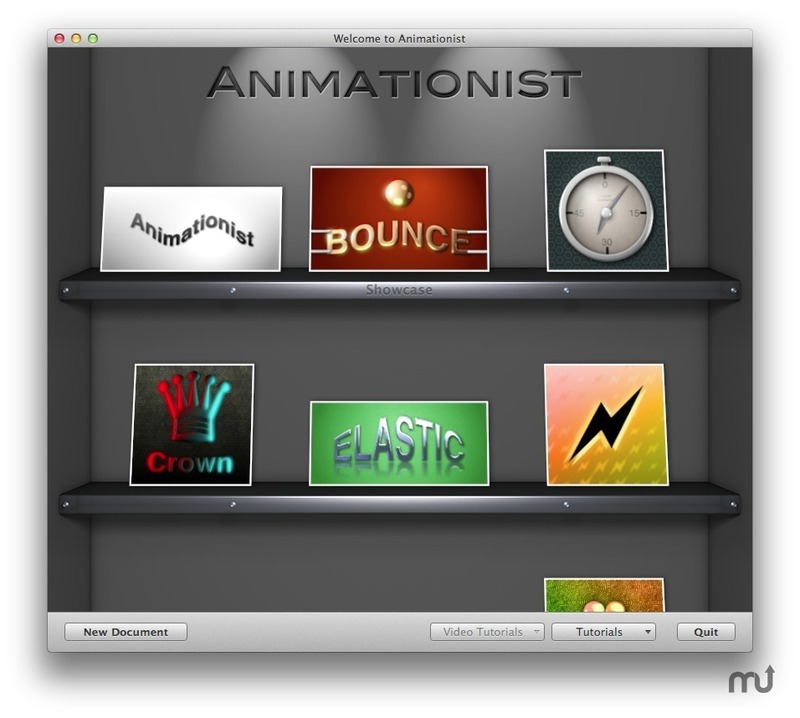 Is Animationist really the best app in Animation category? Will Animationist work good on macOS 10.13.4? Animationist lets you create perfect title-art animations for your YouTube videos, iMovie or Final Cut projects, showcase videos, and even TV broadcasts. 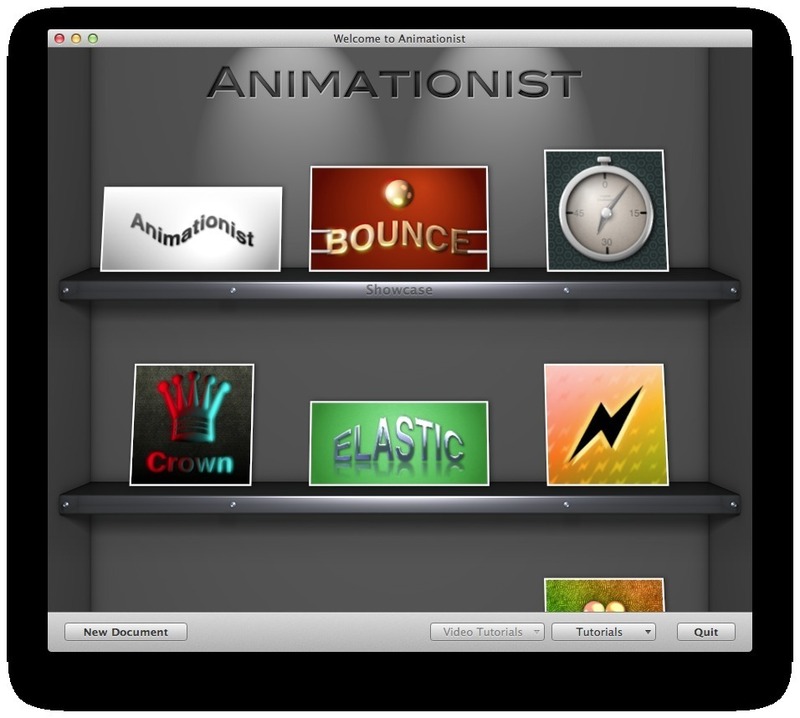 Animationist brings everything you need for professional intro and title art animations. 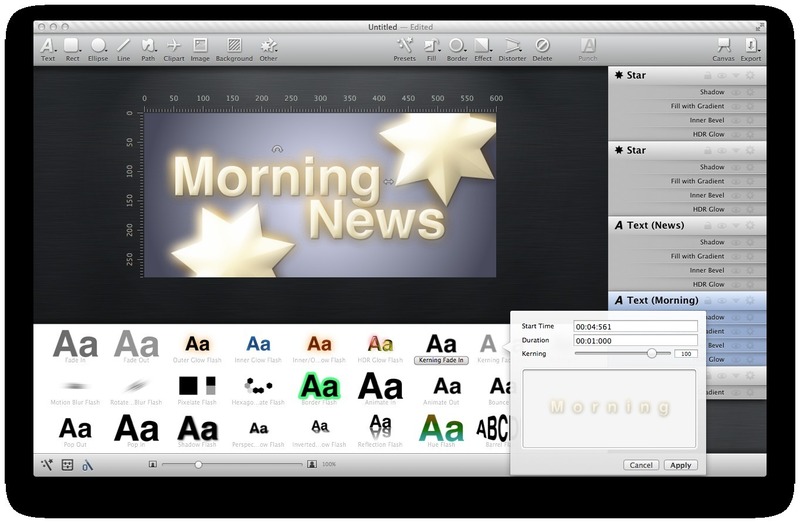 Animationist comes with many presets, samples, and tutorials, and an easy-to-use yet flexible user interface. Animationist offers an easy to use sequencer displaying all keyframes of all properties in your canvas. All properties are grouped by layer in order to be able to navigate without getting lost in even large projects. Every change is displayed in realtime and even playback of your movie is rendered instantly. Animationist can adjust the quality to accomplish a live preview without having to wait until rendering is done. Built on the same foundation as Logoist, Animationist comes with a great variety of different filters, shaders and borders. All these effects can be completely animated using keyframes. 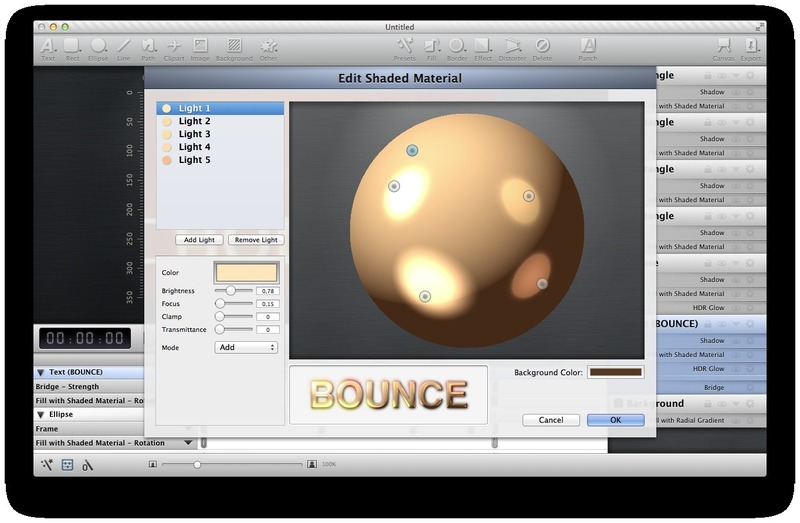 Assign as many effects as you like, for example inner and outer shadow, glow, blur or borders to layers. Create presets from your effect configuration to easily apply them to other layers. Combine effects with shaders in any way you like. Nearly every property of every layer or effect in Animationist can be animated using keyframes. Animate the light source of the shaded material filter to create stunning effects, even animate kerning and other font properties with ease! Animationist can also distort text and clipart with animatable path distorters. Every property of the distorter is fully animatable. 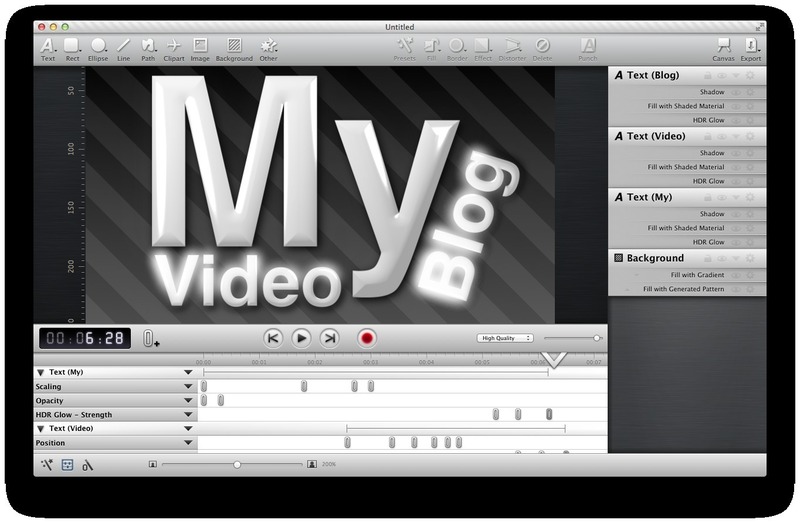 For example, apply a fish-eye distorter to text and animate the strength over time using keyframes. Export your movies with a single click using many different codecs. 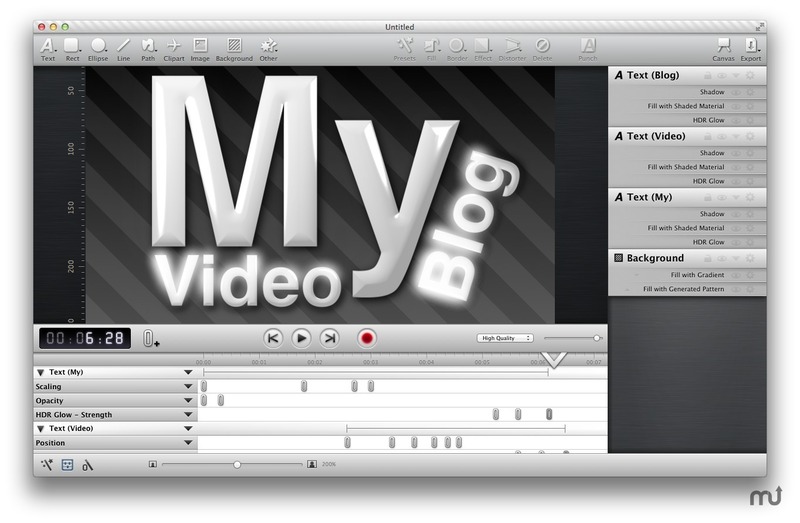 Animationist can compress your movie to save space or export it with a lossless video codec in order to use it in Final Cut or iMovie without degrading quality. Animationist also comes with many animation presets, ranging from simple order out animations to complex animated effects. Presets are easily accessible from a preset browser below the canvas. Animationist brings many sample documents and tutorials for you to use and learn from. Even video tutorials are included offering step by step guides on how to get the most out of Animationist.